We humans thrive on routine and often find ourselves doing things in the way that they’ve been done for years. Often the response to “Why are we doing it this way?” is “That’s the way it’s always been done before, isn’t it?” The human brain maps out routines and patterns and our learning is based on past experience. To change is to go against the mapping and wiring in the brain and to understand this gives us some insight into why change is often difficult for people. Change, however, is no good for the sake of it and goes against many of our inbuilt systems but in order to grow any business there needs to be an acceptance of change to improve processes. A real consideration for SMEs and small business is credit control – making sure you get paid on time. Good credit management will keep your borrowing down and allow your business room to grow. Credit control is a skilled process – it’s not just about tackling late payment but about getting your account terms right from the outset, building relationships with your clients and managing risk so that future sales are not compromised. There’s no business out there that does not need to improve its cash flow and maintain a constant healthy sales ledger position month in month out. Do you give your books to an accountant rather than employ one in-house? That’s outsourcing. Many small businesses now outsource their IT support, payroll, social media, call minding and many other jobs due to the costs being open and transparent. Employment comes with additional taxes, management, training, IT provision, absence and many other costs and responsibilities. Outsourcing is very flexible and can be tailored to specifically meet your business needs so if you only need one day’s work then that’s all you pay for. The onus for deliverance is therefore on the provider not you or your company. Credit control for business makes great business sense if you pick the right service provider who has the right attitude to protecting your business data and sales contacts. OK, your business runs along nicely so why bother changing it? “I’ll just employ someone if I need help”. Business owners and leaders are people that others follow and look up to but they can be so busy that they don’t look outside the box or simply do not consider that there is a better, more efficient way to chase outstanding invoices and set up an efficient credit management system to support the backbone of your company. 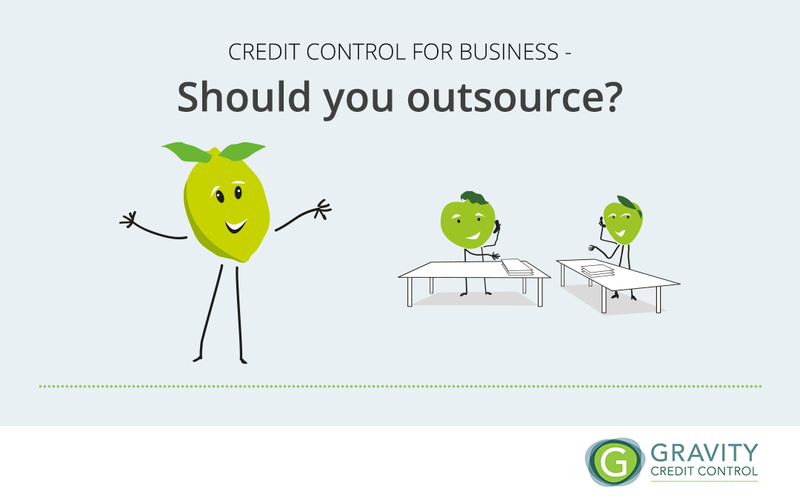 The natural reaction is to dismiss the idea completely and a common misconception with outsourcing credit control for business is that there will be a lot of time taken up implementing the changes – not at all true. A good credit control service will also take up very little of your time once the initial set up has been introduced. A forward thinking business always wants to improve. If you can improve processes, cash flow and save overhead and employment costs whilst you concentrate on your core business (the reason you are in business in the first place) then why wouldn’t you? Change is often for the better and can reward you with better working conditions, leaner processes, lower expenditure and of course increase profits. You will soon find, if you want to grow your business, you cannot do it all. The right outsourced solution will have the expertise and capacity to grow with you so why take on the burden of employment when you can partner with a skilled service at lower overall cost?